This article was first published on MoneyInc, January 2019. Memphis, Tennessee is keeping the past alive by reimagining and renewing old buildings, landmarks, and icons. Instead of knocking down existing historic facades, mixed-use spaces, restaurants and community centers are emerging in the 21st century as impressively rejuvenated revival structures, creating vibrant new communities. This year, the birthplace of rock ‘n’ roll celebrates the past through a bicentennial anniversary bash with concerts and historical exhibits all year long that showcase Memphis’s founding contributions to rock, soul, and blues. The annual “Memphis in May” that arrives in spring will honor itself in 2019 with live music, food, art, and film. Explore this city on the Mississippi River and #BringYourSoul. Founded in 1991, the museum at the Lorraine Motel preserves the place where Dr. Martin Luther King Jr. spent his final hours in 1968 but is much more than a memorial today. Learn about the history of the African American fight for equal rights as the immersive exhibit traces the US Civil Rights Movement from its very beginnings to the present day. Films, oral histories, interactive exhibits, and even the hotel room and balcony where Dr. King was staying when he was assassinated offer a sobering account of our American history. Even across from the motel, visitors can gain a look at the shooter’s perspective from a bathroom window, along with various murder theories. Plan to spend at least 2 hours at this insightful look into the past. 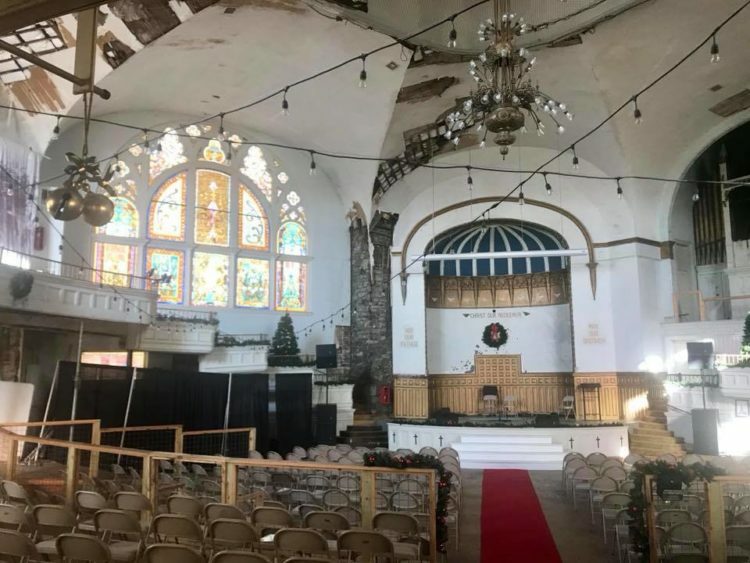 Once a staging ground and gathering place for the civil rights movement, Clayborn Temple’s restorations are currently underway with the goal of making black arts thrive again. Once dedicated to the worship of God in 1893, the church was sold to the AME Church in 1949 and then renamed Clayborn Temple. Today the mission is to transform the historic space into a community center for the neighborhood. Former UVA research professor Greg Thompson is at the helm of the transformation. His soul rap-based musical, called Union, began here inside Clayborn Temple before touring nationwide. I AM A MAN monument outside Clayborn Temple. Outside the temple lies the I AM A MAN monument commemorating the lives lost and dignity of the sanitation workers for equal and fair treatment. 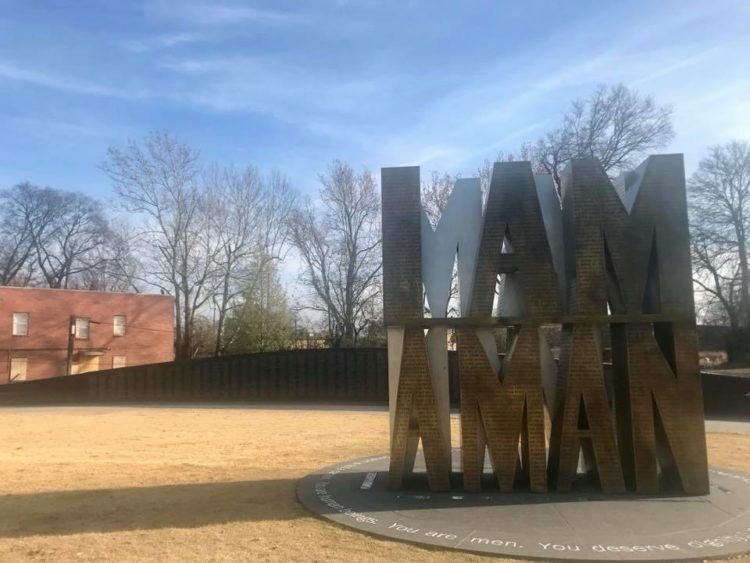 This spot was a key rallying point for the historic 1968 Memphis sanitation strike – the reason Martin Luther King Jr. was in Memphis when he was assassinated. There’s also a wall containing the names of 1,300 mostly-black Memphis sanitation workers. Today shattered and boarded up stained glass windows remind us of a painful past – when the sanitation workers retreated from beatings and tear gas in Clayborn Temple to only be attacked inside and break free through the church’s windows. Originally the Sears distribution center and retail store building from 1927, this 1.2 million square foot building (1/2 the size of the Empire State Building lying down) has been revitalized after sitting vacant for over two decades. The centrally located space is an architectural feat as the impressive building now flourishes with restaurants, bars, a boutique grocery store, shared art-making space, green room, theater, teacher residency, artist residency, concert venue, art galleries, healthcare, loft-style apartments, an outdoor brewery and more. 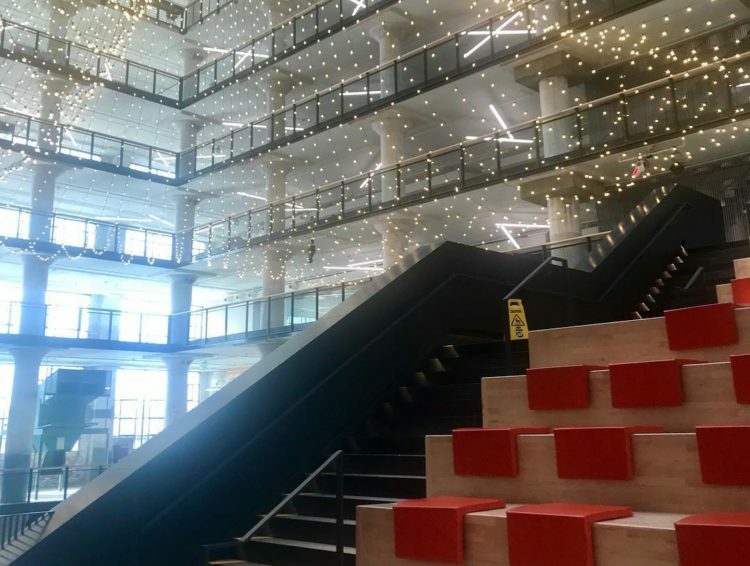 The façade is 60% glass, allowing natural light to shine in, while the building is the largest LEED Platinum certified historic adaptive reuse in the world! The goal of this functioning “vertical urban village” is to cultivate the creative community. 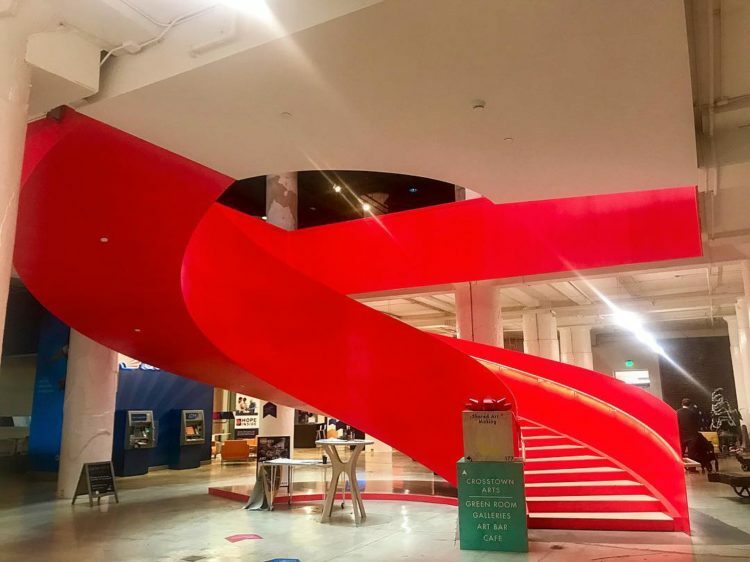 The building’s revival includes many hip spaces for socializing as well as a bright red dramatic staircase to resemble the original chutes from the Sears, Roebuck & Co. Catalog shopping days. Today, eat, shop, and make your own connection inside this thriving reimagined mecca. Don’t have time for Elvis’s Graceland? Head to Sun Studio where Elvis walked in as a high schooler and recorded his first song called My Happiness. Although this small wedge-shaped building on Union Avenue doesn’t look like much from the outside, this is where American rock n’ roll sound was born. 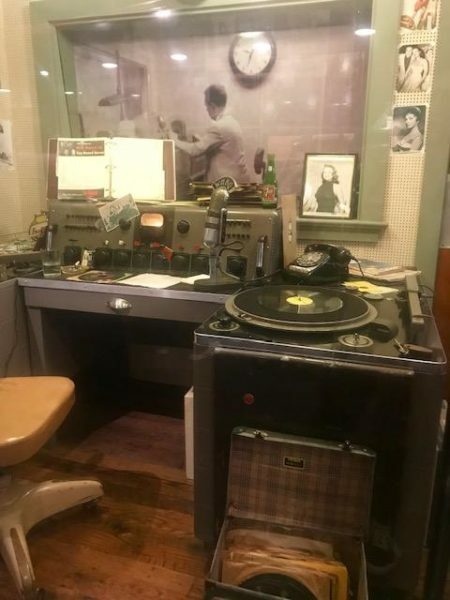 Founded by legendary producer Sam Phillips, the world-famous recording studio is where Bob Dylan, Jerry Lee Lewis, Elvis, Roy Orbison, and Johnny Cash recorded music and currently don the walls. Now a National Historic Landmark, take the 45-minute guided tour filled with exciting musical stories for $14 to learn how the teens took rock and roll to number 1 during the 1950s to 1960s. Marvel at the first record playing machine maker, the original standing microphone, and original Memphis Blues tunes. At night, Sun Studio still functions as a recording studio. A café and bar are at the front of the façade for those who wish to linger longer. Blues was born on Beale Street. Legends like B.B. King, Furry Lewis, Alberta Hunter, Rufus Thomas, and Isaac Hayes used to showcase their talents at venues on this street. Located up the fire escape above B.B. King’s Blues Club, Itta Bena is the name of the Mississippi town where B.B. King was born. 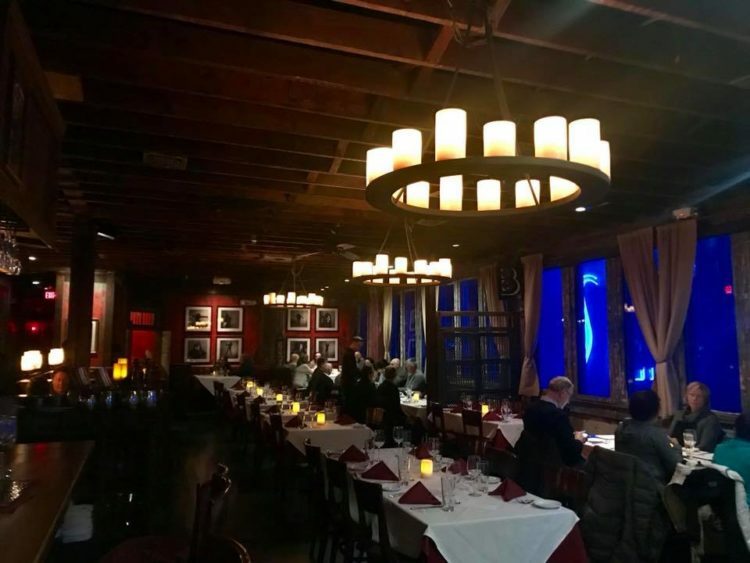 This dimly lit restaurant at the end of Beale Street serves up southern cuisine like crab soup, shrimp and grits, duck and waffles, and jambalaya. A piano player serenades while dining at the bar and a floor below features more live jazz. 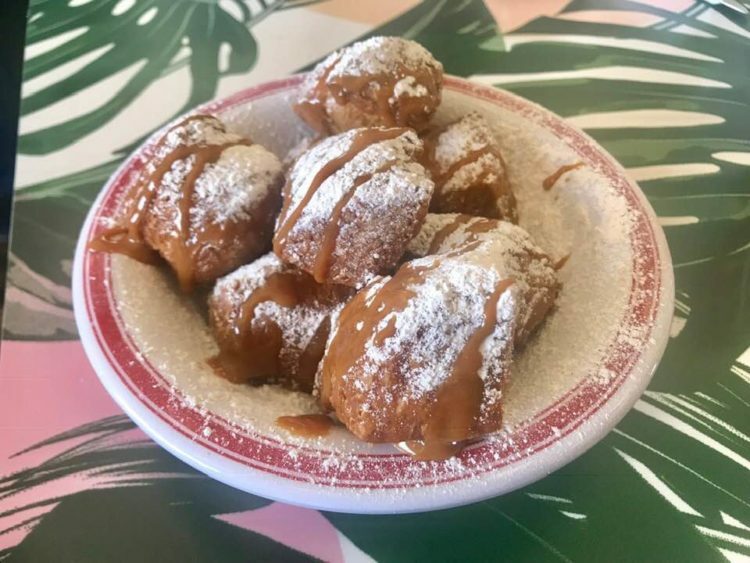 Not a corner liquor mart – eat all day breakfast at this simple and elegant Palm Springs-esque bar and diner serving up powdery perfect beignets, fluffy pancakes, biscuits and eggs, pop tarts, sweet potato mash, Cuban sandwiches, and crafty cocktails. Beignets for breakfast at The Liquor Store in Memphis. Spicy, crunchy fried chicken is a must in the south. 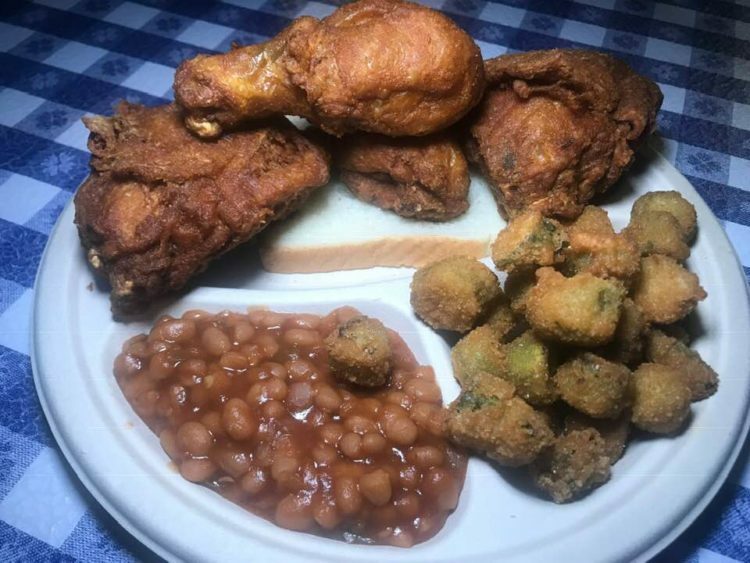 For less than $10, dine on your choice of moist meat along with baked beans, fried okra, fried pickles, or fried green tomatoes. You’ll never feel so satisfied after leaving this low-key checkered tablecloth establishment. Just across from the National Civil Rights Museum, devour some saucy ribs that fall off the bone, a pulled pork sandwich, pulled pork nachos, brisket, or some spicy hot wings. Purchase one of their amazing spice rubs or sauces to take home for your next cookout. 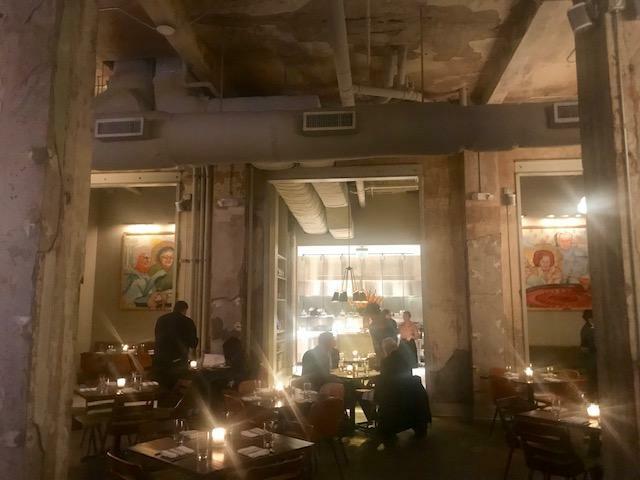 Located in the first floor of the former historic Hotel Chisca and across from the Orpheum Theater, find Italian dishes inspired by the chef’s grandmother’s cooking in Tuscany and Sicily mixed with the bounty of the Memphis area. Indulge in meatballs, a rich gnudi, or a short rib tagliatelle plus an exquisite cocktail selection. The lengthy bar is a perfect spot to eat solo as the grand industrial reclaimed restaurant space quickly fills up. It is hard not to admire the kitchen in action as the space is open to showcase the magic. In the former Tennessee Trust Building, expect to check-in with a barista. The 110 room hotel in a former Beaux-Arts building from 1905 is close to all your Memphis exploration. 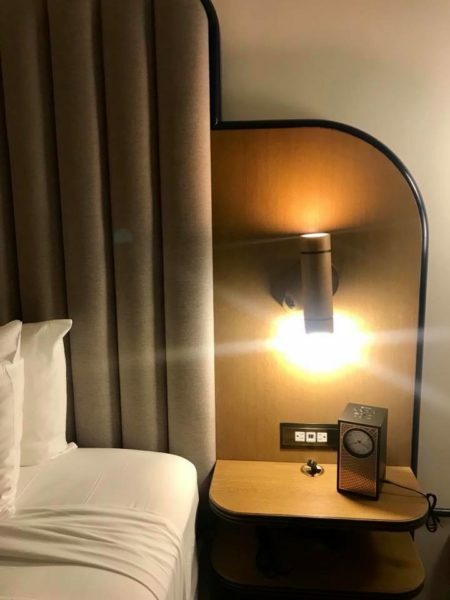 It’s hard to leave the luxurious room – newly redesigned in 1950’s décor with custom mix-media headboards and warm touches of texture, stained oak, brass, copper, and white Carrara marble. A minibar with snacks from the city is a nice touch. The room made me feel like I might be in Elvis’s bed. A snazzy rooftop lounge offers happy hour, sunset views of the Mississippi (sometimes with live music) and now the Hu. Diner is open for lunch and dinner. The Hu. is the new standard for Memphis hospitality. Rates are shockingly affordable. Get to know Memphis in a weekend – or extend your stay to enjoy more of what this southern city has to offer.